One of the easiest ways horror movies provoke a response from their audience is to put a child in jeopardy. Just think of all the films that immediately come to mind when you contemplate that last statement: The Shining, The Sixth Sense, Rosemary's Baby, The Omen, The Exorcist. Sinister does this too. 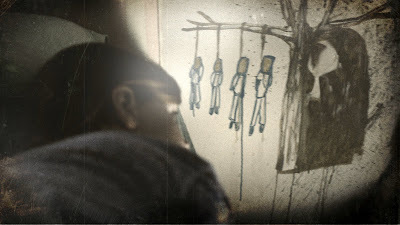 In truth, Sinister is not just a little derivative in its attempt to invert the expectations associated with this angle. But it's the way it uses our fears to misdirect us that make Sinister an engaging, and surprising, horror film... perhaps even one of the most frightening in years. In Sinister, writer Ellison Oswalt (Ethan Hawke) pressures his family into moving to another town in order to write a true crime novel about their new home's previous denizens, a family of 5 whose oldest daughter disappeared just before the rest were executed by hanging. Ellison finds a box of home movies in the attic, Super-8s with innocuous titles like "Lawn Work" of "Family Hanging Out" scrawled on the cans containing films that depict other such atrocities seemingly related only by their m.o. Things take a turn for the eerie when unusual instances of the film projector playing these movies by itself coincide with frequent bouts of sleepwalking by Ellison's traumatized older son and Ellison's own escalating dependence on alcohol to calm his nerves. Admittedly, Sinister's premise owes quite a lot to Stanley Kubrick's The Shining. The only thing more frightening than your children being placed in danger is the gnawing suspicion that you may be the cause of their predicament. And Ellison, like The Shining's Jack Torrance, has a history of endangering his family. Ellison's deliberate alienation of his family from a new community—one still reeling from the horrific crime that occurred there—is one ill-advised way to exaggerate the dissociative feelings of isolation that spark fear. And when a vice like alcohol is involved, attendant symptoms like guilt and irresponsibility exacerbate the matter all around. But Sinister is no simple rehash of The Shining. Its repetitive, and increasingly harrowing, screening of the Super-8s Ellison finds are reminiscent of similar home movies sprinkled through Michael Mann's Manhunter. Manhunter's criminal profiler Will Graham utilized these to get into his quarry's headspace, to understand the murderer who found something attractive about the families he killed engaged in the innocent activities they partook of when they were being filmed. 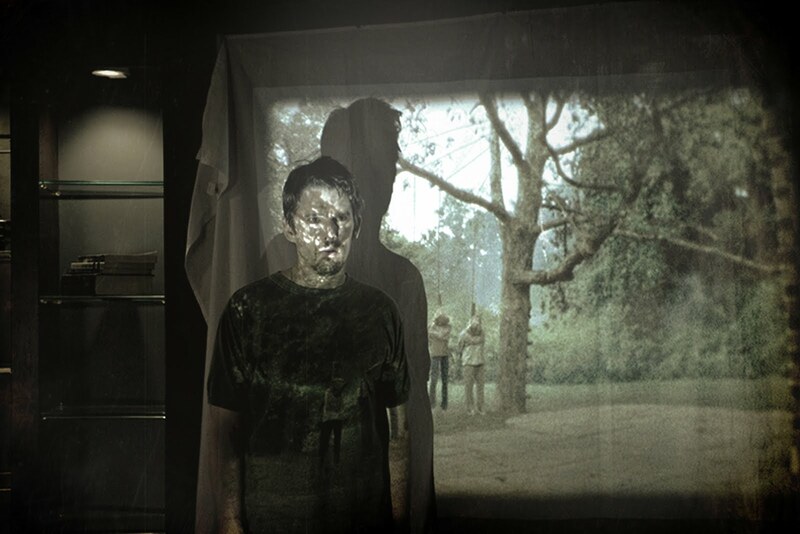 Similarly, Sinister's Super-8s serve as an entry way for Ellison into the mind of a killer. What isn't clear is whether the decades-long timespan between the murders hint at some supernatural element to the killer or whether something unearthly in the film itself brainwashes its viewer to commit the murder himself. It's a clear setup indicating that perhaps Ellison himself is the killer-yet-to-be that he seeks. It's a question that does not go unanswered, although I won't spoil it here. Suffice to say that enough avenues of inquiry are explored in enough detail that Sinister's satisfying ending is at once completely startling and totally logical. 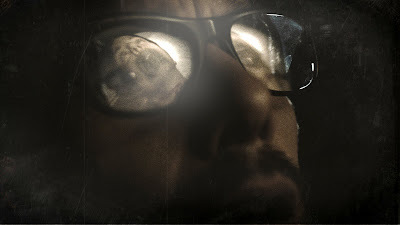 The solution offered to its central mystery makes Sinister one of the most coherent and memorably disturbing American horror films in quite some time, illustrating that the best scary movies, derivative though they may be, are the ones that know how to manipulate you through your own fears and expectations. Wow, I had no idea this would turn out to be any good from the previews, but now I'm pumped for a thinking man's alternative to Saw 12 or PA5 - thanks Tony! Thanks for the good word, Erich. I hope you enjoy SINISTER as much as I did. I didn't make the connection between the 'footage' in this film and the footage in "Manhunter" so good catch on your part. While I agree with most of what you said about the movie, I'd be curious to hear what about the ending you found logical (though it would be hard to do at this point in time without spoiling it for your other readers).